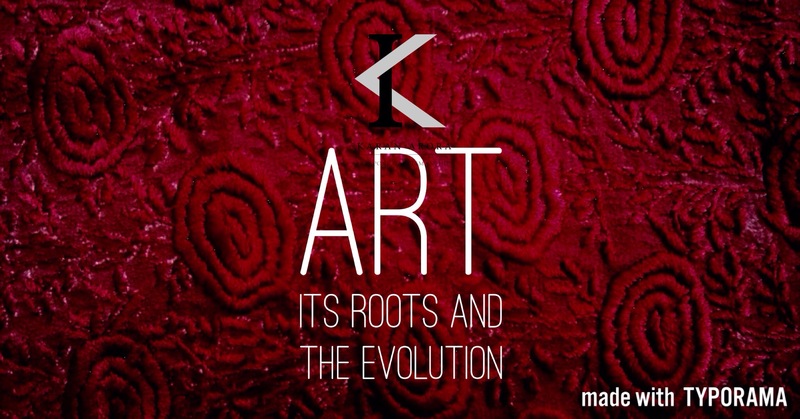 karanaroracraft | Founded in 2014, Karan Arora represents bespoke craftsmanship , Indian heritage and timeless elegance. 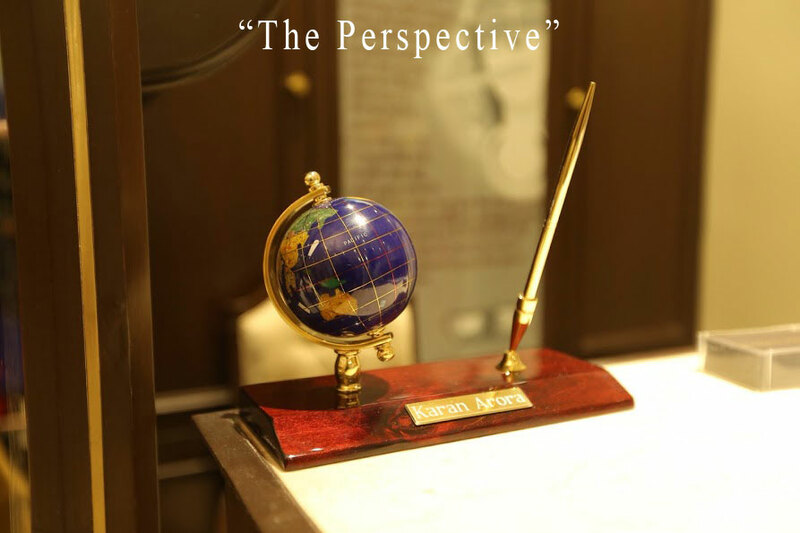 karanaroracraft – Founded in 2014, Karan Arora represents bespoke craftsmanship , Indian heritage and timeless elegance. 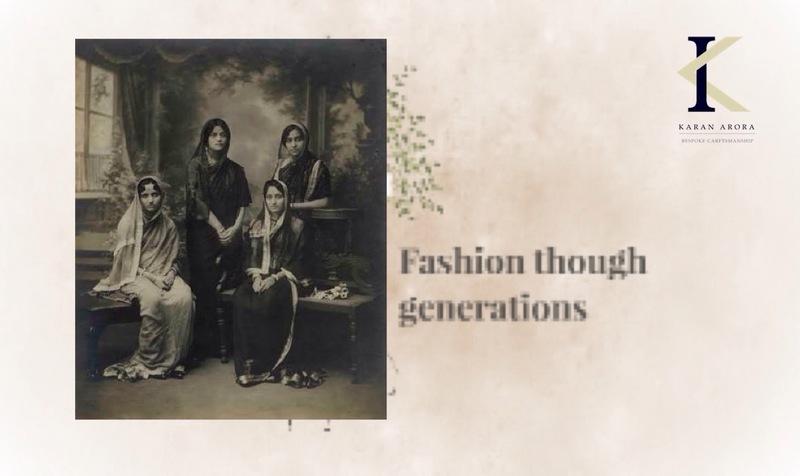 Culture and fashion go hand in hand and India is facing serious crisis in both aspects. It is extremely disappointing how rampant modernisation is misunderstood as westernisation. The inferiority complexes led by Britishers imperialism among Indians to strive for acceptances among them has lead to major identity loss which in turn is affecting our way of living and thinking hence living a dual life in denial of reality at the cost of humility ,morality and peace of mind. The loss accruing out of above reasons is blowing up indian lifestyles right from the way we eat, think and dress, in the lieu of new and modern, synthetic and mechanisation is overtaking the purity,essence and fundamentals and that too at the ignorance accentuated with false pride. hence the task is bigger in real term to change with mindsets along with revival of indigenous processes. Living in discipline and character has always made life more promising and peaceful. It shows the strength of actual roots in making up of a character, which in turn is reflected in inner being and confidence , that makes the entire process of existence more delightful. Trying to be someone else and leaving the roots from where you are coming from has never made peace anywhere in real.Its saddening , how in the lieu of being modern we have bought around changes in our thought process and culture for acceptance among societies/environment in which we never even exist. It’s the need of an hour for sustainable modernisation and to re-evaluate the idea of being free as to maintain peace of mind first before we move onto the next era of technology revolution. my exclusive interview to Indiainfoline . 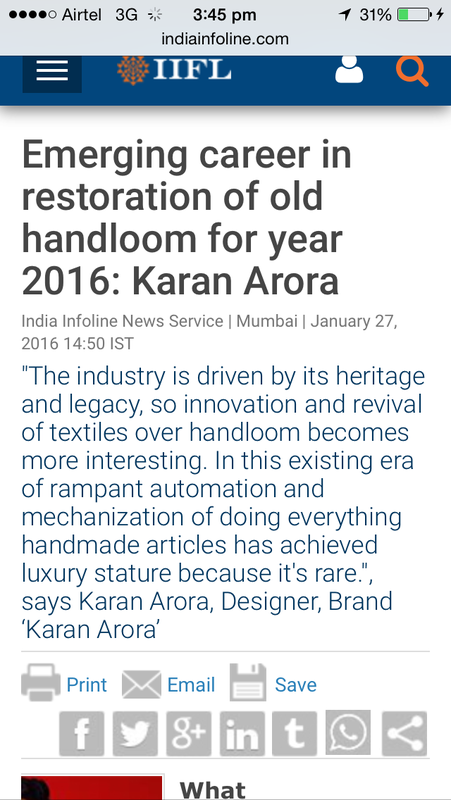 What makes a profession in Restoration of Old Handloom a new age or emerging career and how the year 2015 was for that profession? Gandhi quoted: ‘the art that is machine made appeals only to eyes but the art of handloom appeals to heart first than eyes’. The industry is driven by its heritage and legacy, so innovation and revival of textiles over handloom becomes more interesting. In this existing era of rampant automation and mechanization of doing everything handmade articles has achieved luxury stature because it’s rare. There are not many who offer wide career opportunities on various handlooms across the light and breath of Indian subcontinent. All we need is patience, love for art and exclusivity. The year 2015 has been as good as the year 2014 and 2013 in terms of people’s love for handloom. In fact the love is ever increasing. Technology has made the world a global village hence the demand of handloom textile has gone up by multiple levels which makes restoration a very bright career option. What are the prospects of a career in Restoration of Old Handloom? It requires your heart and soul to understand the nature of loom and yarn in order to revive the techniques of working and hence the textiles. So the prospect varies from your level of indulgence in process doing something that has not been done before. With so many designers, business houses investing in handloom, the job prospects are very bright in industry. What is the scope of this career? Working on ground level over looks gives you ample scope of establishing your own business where is sky is the limit. Starting from internship Rs. 15000 to being a textile designer at Rs. 1, 00,000 a month, the remuneration depends on your level of indulgence and knowledge about it to make things happen. Is there an eligibility criterion for the same? A degree in textile science does help in establishing your cords well with looms than learning them straightaway on the floor. The very basis of art and design comes from an underlying principle of ignorance and indulgence. Indulgence that is effortless and beyond the elements governing environment.Its a comprehensive artist’s expression which is a culmination of inner concise and outer morality in living world that makes it an absolute original. A notion of an art is extremely instinctive and personal. which sets aside it from the zone of what people want. It’s the ignorance about most of the things that led to create something which never existed. The thought process in depicting the sense has been much about going against odd , the rebellious mindset that the led to indulgence and creating. Doing what is the requirement of the time and as per the norms has nothing to do with an idea of an art. It goes beyond the parameters of normality and existence and evolves on a sense on individuality that has undergone multiple layers of emotions and feelings about existence of life in particular. No outer dimensions has an influence on the creation as it originates within. M.F. Husain rightly quoted ‘ all this talk about inspiration is non sense ‘ I can paint even at mid night in middle of the jungle. Art has been all about going against the odd , it calibrates the story untold and way undiscovered which gives a beautiful reason for civilisation to be happy about. The expression should be preserved and set free to be at its best by nurturing individuality and respecting the unusual complexities involved in determining the course of action in an art to evolve. Glorious ladies are always known for their sartorial choice. Be it western or traditional, we all look up to our tinsel town divas for fashion lessons. While most movies showcase an urban chic look, there are a many period films, which took us back not just in time but in costumes as well. With Deepika and Priyanka’s recent Royal look in Bajirao Mastani. Affiliated with the monarchical theme, Karan Arora attiring of Neha Kaushik, was stately done with organ tussar floor length Anarkali bearing pastel colours, with deep ardent Zardozi work. Creation of timeless beauty comes from years of experience and self-confidence attained by Karan Arora and his maverik team. The Karan factor assured Neha Kaushik to rise above the world and celebrate demureness and a regalia of womanhood, like no one else. The Zardozi work worn by Neha, surely have evoked salutation by Bajirao Mastani, herself. Enamored with our creations, Manali Nandini’s soul was etched with a belief in our core essence of the ideology of designing legendary outfits. The gracious lady’s agenda of regal attiring was aptly understood and bespoke creation was designed by master artisan, Karan Arora. With its flamboyance, the attire not only found a gracious applaud, it won a gracious place as collectible by its owner. Manali’s wear is a timeless creation for women of substance, portraying regality of a lost paradise. The flamboyance vibrancy and choice of color was aptly accentuated with the luster of the fabric. Inspired with the starry night garden, Karan crafted the ornate Zardozi & dori design, reminding people to dream big & wish bigger with gasped Oh!! LaLa, I’ve always been into rose gold so naturally. There are things that come and fade away, and then there is ‘Karan Arora’ eternal design, which endows celebration of womanhood, demureness with exclusive regal outfits guaranteed not to go unnoticed. In the haute pursuit of crafting the legendary ethnic Indian queen attire, the anarkali lehnga, blouse & dupatta, is staple, but crafting a zardozi art and choice of vibrancy, of color, application of authentic heritage theme, can only be done by a master artisan. The legendary Karan Arora & team, with a legacy of generations of attiring regal women, understood Nandini’s desires. The off-shoulder silhouette design of the blouse, being one of Karan’s favorites, was done with intricate Zardori floral pattern, aka, designs of regal havelis. The Georgette, being softer’ staple of wardrobe, was elegantly used in Dupatta, with emboldened Zardozi design on its borders. The masterpiece Anarkali lehenga was upon one of the best journeys life has to offer. With the luxurious appearance of her apparel, the Zardozi work captivated the eye of each invitee, who came to grace the celebration. The beauty of being unknown and the Power of unsaid. An idea of not so obvious but the power within you. The beauty of ignorance and the power of self contentment. The beauty of being amazing without an effort and an idea to evolve and exist for the reason other than to be known for it. An idea to be happy and the phenomena of setting yourself free. The power to love without any reason and an idea to not to conclude and live without judgments. The beauty of acceptance and the theory of unsaid emotions. The beauty of being subtle and composed and the power within you and to love and live with what you are. The beauty of how are things supposed to be and the power of natural analogy. It’s all about the power of the theory and an idea, to create unrealistic real surroundings with strong essence of now and forever.